You can listen to this sermon here. Charm is deceitful, and beauty is vain, but a woman who fears the LORD is to be praised (Prov. 31:30). The fear of the LORD is the beginning of knowledge; fools despise wisdom and instruction (Prov. 1:7). Why So Much Talk About Women? Marriage requires lots of wisdom, which really is skillful living. After a few years of marriage, a man learns a few things. “I’ll be ready in five minutes” doesn’t actually mean what it should mean. Instead of directly stating what they want, women will often give subtle hints. When a wife tells her husband about a problem, she wants him to listen to her talk about the problem, not necessarily solve the problem. Proverbs 31:10 says, “An excellent  wife who can find? She is far more precious than jewels.” The Hebrew word translated “excellent” is hayil, which means strength. She is a strong and able woman  (as seen by all of her strengths and abilities listed in this passage). Hayil and the Hebrew word for wife/woman are found together two other times in the OT: “An excellent wife is the crown of her husband, but she who brings shame is like rottenness in his bones” (Prov. 12:4); “All my fellow townsmen know that you are a worthy woman” (Ruth 3:11). Many Christian women say, “I want to be a Proverbs 31 woman.”  But then they get discouraged when they fall short of this woman’s standard. What we need to understand is that the Proverbs 31 woman is the ideal wife. The Proverbs 31 woman should be imitated, but she will never be duplicated. Verse 29 states, “Many have done excellently, but you surpass them all.” So a woman can be an excellent wife without completely measuring up to the Proverbs 31 woman. The husband of the Proverbs 31 woman is often neglected. The husband is mentioned in verses 11 and 28, which show us that a man needs to show confidence in his wife (“The heart of her husband trusts in her,” v. 11) and to praise her (“he praises her,” v. 28). A husband should never forget that a good wife is a blessing from God: “He who finds a wife finds a good thing and obtains favor from the LORD” (Prov. 18:22; cf. 19:14). Verse 30 says, “Charm is deceitful, and beauty is vain,  but a woman who fears the LORD is to be praised.” Bruce Waltke writes that the “fear of the LORD” is “the key to Proverbs.”  Proverbs 1:7 says, “The fear of the LORD is the beginning of knowledge; fools despise wisdom and instruction.” Charles Brides defines “the fear of the LORD” as “affectionate reverence”  for God. It is the foundation (“the beginning,” 1:7) of wisdom, including wisdom in marriage. The foundation of a successful Christian marriage is the fear of the LORD. Christian husbands need to be Ephesians 5 husbands: “Husbands, love your wives, as Christ loved the church and gave himself up for her” (Eph. 5:25). The apostle Paul wrote to the Philippians, “In your relationships with one another [including marriage], have the same mindset as Christ Jesus” (Phil. 2:5, NIV). What is this mindset? If Paul were speaking directly to husbands and wives, he would say, “Let each [husband and wife] look not only to [their] own interests, but also to the interests of [their spouse]” (Phil. 2:4). Of course, we can’t perfectly duplicate the mindset of Jesus, but we can imitate it. One thing I discovered this week is that a popular name for bridal boutiques is “It’s All About Me.” If a marriage is “all about me,” it’s doomed to failure. A successful Christian marriage begins with the fear of the LORD. Those who have a reverent affection for God seek to glorify him. And we glorify God by acting like Jesus. How do we act like Jesus in a marriage? By sacrificially loving our spouse. Tremper Longman III, Proverbs, 578. Bruce Waltke believes that “valiant” is a good translation of hayil in Proverbs 31:10 (The Book of Proverbs: Chapters 1-15, 520). The Proverbs 31 woman works both inside and outside the home. Basically, she does whatever is in the best interests of her family. Waltke, The Book of Proverbs: Chapters 1-15, 100. Timothy Keller with Kathy Keller, The Meaning of Marriage, 47. Train up a child in the way he should go; even when he is old he will not depart from it (Prov. 22:6). What Does Proverbs 22:6 Mean? If a Christian parent “train[s] up a child in the way he should go,” is that child guaranteed to stay on the right path? In other words, is Proverbs 22:6 a command (“Train up a child in the way he should go”) with a promise (“even when he is old he will not depart from it”)? To properly answer that question, we must identify the literary genre of Proverbs 22:6. Identifying the literary genre of Proverbs 22:6 is easy. It’s a proverb. But what is a proverb? An example of a popular proverb that is not found in the Bible is, “An apple a day keeps the doctor away.” When we say that proverb, do we believe it’s a promise that everyone who eats an apple a day will never be sick? No. But the proverb does contain a general truth: healthy eating generally leads to good health. We should interpret biblical proverbs in a similar way. Richard Pratt writes that biblical proverbs are “adages that direct us toward general principles that must be applied carefully in a fallen world where life is always somewhat out of kilter.”  This means that proverbs are not promises. Proverbs 22:6 is not a promise. Though Proverbs 22:6 isn’t a promise, it does contain a general truth. This means it’s vital that Christian parents “train up” their children in a biblical way. How should parents “train up” a child? 1. We should continually teach our children. Children need to be taught many things, but it’s essential that they be taught to understand and obey God’s word. 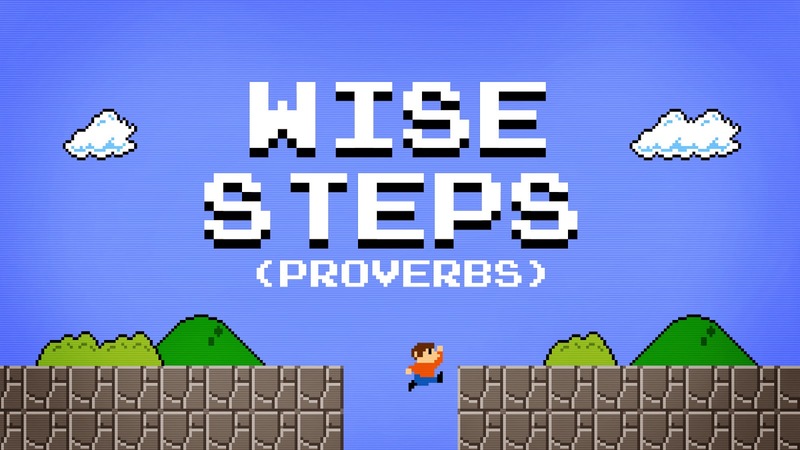 Waltke states that “train up” refers to “religious and moral direction, not professional activity.”  Much of Proverbs is written as a father teaching his son. Proverbs 1:8 says, “Hear, my son, your father’s instruction, and forsake not your mother’s teaching.” It’s important not only to tell our children what is right and what is wrong, but also talk to them about the benefits of doing good and the consequences of doing wrong. But as for you, continue in what you have learned and have firmly believed, knowing from whom  you learned it and how from childhood you have been acquainted with the sacred writings, which are able to make you wise for salvation through faith in Christ Jesus. All Scripture is breathed out by God and profitable for teaching, for reproof, for correction, and for training in righteousness, that the man of God may be competent, equipped for every good work (1 Tim. 3:14-17). 2. We should lovingly discipline our children. Proverbs 13:24 says, “He who loves [his son] is diligent to discipline him.” Proverbs speaks of “the rod of discipline,” which is unpopular today. For example, Proverbs 22:15 states, “Folly is bound up in the heart of a child, but the rod of disciple drives it far from him.” But any form of discipline can be abusive if it’s not administered in love. Paul wrote to the Ephesians, “Fathers, do not provoke your children to anger, but bring them up in the discipline and instruction of the Lord” (Eph. 6:4; cf. Col. 3:21). 3. We should consistently model Christ-like behaviour. Joel Miller writes, “If you’re looking for a gauge to measure how un-Christlike you are, try raising kids.”  Children notice when their parents don’t practice what they preach. A bad example can undermine good teaching. “There are many different genres in the Bible—songs, prophecies, proverbs, laments, visions, speeches, parables, historical narrative. Identifying the genre is very important to how we interpret a passage” (Nigel Beynon and Andrew Sach, Dig Deeper, 105). Richard Pratt Jr., “Broken Homes in the Bible,” http://www.ligonier.org/learn/articles/broken-homes-in-the-bible/. Tremper Longman III, Proverbs, 405. Bruce K. Waltke, The Book of Proverbs: Chapters 15-31, 206. The Greek for “whom” is plural. It could refer to Timothy’s mother and grandmother (see 1 Tim. 1:5). Joel J. Miller, “What to See How Un-Christlike You Are? Try Raising Kids,” http://www.patheos.com/blogs/ joeljmiller/ 2013/03/ parenting-need-grace/. Give me neither poverty or riches; feed me with the food that is needful for me, lest I be full and deny you and say, “Who is the Lord?” or lest I be poor and steal and profane the name of my God (Prov. 30:8b-9). It’s ironic that both American and Canadian coins mention God. Why? Because North Americans, in their day-to-day living, generally don’t trust in God (even if they identify themselves as Christians); they trust in money. Money isn’t everything, but it is a blessing from God. What Should We Do with Our Money? What should we do with the blessing of money? 1. We shouldn’t make money our God. In Agur’s prayer, he asked for neither riches nor poverty. He prayed, “Feed me with the food that is needful for me, lest I be full and deny you and say, ‘Who is the LORD?’ or lest I be poor and steal and profane the name of my God” (Prov. 30:8-9). It’s not sinful to be rich or poor, but Agur didn’t want the temptations that come with riches (“lest I be full and deny you”) and poverty (“lest I be poor and steal”). But those who desire to be rich fall into temptation, into a snare, into many senseless and harmful desires that plunge people into ruin and destruction. For the love of money is a root of all kinds of evils. It is through this craving that some have wandered away from the faith and pierced themselves with many pangs (1 Tim. 6:9-10). People who love money forget about God (“Who is the LORD?”). Agur was more concerned about honouring God than how much wealth he possessed. J. D. Rockefeller was at one time the world’s richest man. Someone once asked him, “How much money is enough?” Rockefeller answered, “Just a little bit more.” Immanuel Kant once said, “Give a man everything he wants and at that moment, everything will not be everything.” If make money our god, we will end up being disappointed. Only God can fill the emptiness that’s within us. Jesus warned about “the deceitfulness of riches” (Matt. 13:22). It won’t deliver what people think it will. 2. We should be generous with our money. When God blesses us with money, we are to bless others by being generous. Proverbs 19:17 says, “Whoever is generous to the poor lends to the LORD, and he will repay him for his deed.” Jesus is the ultimate example of generosity. Paul wrote to the Corinthians, “You know the grace of our Lord Jesus Christ, that though he was rich, yet for your sake he became poor, so that you by his poverty might become rich” (2 Cor. 8:9). When Paul wrote these words, he was raising money to give to needy believers in Jerusalem. 3. We should be content with our money. Now there is great gain in godliness with contentment, for we brought nothing into the world, and we cannot take anything out of the world. But if we have food and clothing, with these we will be content (1 Tim. 6:6-8). Who is the wealthiest person on earth? Mark Zuckerberg (Facebook)? According to Forbes magazine, Zuckerberg is the world’s fourteenth wealthiest person ($34 billion). Warren Buffet? Buffet is the world’s third wealthiest person ($67.6 billion). Bill Gates (Microsoft)? Gates is the world’s second wealthiest person ($81.2 billion). A wealthy person can be poor, and a poor person can be wealthy. A person can be wealthy no matter how much money he or she has. Generosity and contentment enrich our lives. Many rich people aren’t generous or content, so they lack love and happiness. Whether a Christian has been blessed with lots of money or not, he or she is “rich” (2 Cor. 8:9) because of Christ. That’s true wealth. Anthony Selvaggio, A Proverbs Driven Life (Kindle edition), location 1021. “Prosperity gospel” teachers often misuse a verse like this to claim that every Christian can receive material riches in this life. Timothy Keller, Counterfeit Gods, xvii. 2,200 Quotations from the Writings of Charles H. Spurgeon, 216. There are a few similarities between Agur’s prayer and “The Lord’s Prayer” (Matt. 6:9-13). In both prayers there are requests for daily food, for protection from temptation, and for God’s name to be sanctified. In all toil there is profit, but mere talk tends only to poverty (Prov. 14:23). When I was in Bible college, one of my friends was taking a lot of naps and getting behind on his assignments. One day, I went into his room when he wasn’t there and wrote the following words on the ceiling tile above his bed: “How long will you lie there, O sluggard? When will you rise from your sleep? A little sleep, a little slumber, a little folding of the hands to rest, and poverty will come upon you like a robber, and want like an armed man” (Prov. 6:9-11). I don’t think he was too impressed by my prank. How should we view our work? Many Christians think they live two different lives: a spiritual life (attending church meetings, reading the Bible, praying) and a regular life (doing your job, preparing a meal, mowing the lawn). But the apostle Paul writes, “Whatever you do, do all to the glory of God” (1 Cor. 10:31; cf. 6:19-20). This means that our work—whether it’s paid or unpaid work—should be viewed as spiritual. We should view our work as a way to bring glory to God. The Bible begins with God working. God is a working God. Jesus said, “My Father is working until now, and I am working” (John 5:17). God “created man in his own image” (Gen. 1:27), and when we work, we act like God. Work was a part of God’s original plan for humanity. God commanded Adam to “subdue [the earth]” (Gen. 1:28) and to “work [the garden of Eden] and keep it” (Gen. 2:15). But work became difficult after sin entered the world. After Adam sinned, God said to him, “Cursed is the ground because of you; in pain you shall eat of it all the days of your life; thorns and thistles it shall bring forth for you; and you shall eat the plants of the field. By the sweat of your face you shall eat bread, till you return to the ground” (Gen. 3:17-19). For the Christian, Proverbs is more about a who than a what. The “who” is Jesus. He lived out the wisdom of Proverbs. So learning to live by the wisdom found in Proverbs is learning to live like Jesus. When Jesus lived on this earth, he worked. The Gospels tell about his days as a rabbi (teacher), but what did he do before he became a rabbi? In Mark 6:3, the people of Nazareth were astonished by Jesus’ teaching, and they said, “Is not this the carpenter…?” (cf. Matt. 13:55). The Greek word translated “carpenter” is tekton. A tekton was “someone who could work with wood, metal, or stone. He could be a builder, a mason, or a carpenter. In Jesus’ Palestinian context, it probably denoted a woodworking handyman.”  Jesus knew what it was like to do difficult work. The creator of the universe (John 1:3; Col. 1:16; Heb. 1:2) was a labourer. On the night of his arrest, Jesus prayed to the Father, “I glorified you on earth, having accomplished the work that you gave me to do” (John 17:4). In all of his work—whether it was his work as a carpenter, his work as a teacher, or his work as a Savior dying for the sins of the world—Jesus glorified the Father. 1. We must not be like the sluggard who hates work. I once saw a sign in a workshop that said, “Work fascinates me. I can sit and look at it for hours.” There is one thing that the sluggard excels at: finding ways to avoid work. Of course, avoiding work is foolish: “The sluggard does not plow in the autumn; he will seek at harvest and have nothing” (Prov. 20:4). In contrast to the sluggard is “the excellent wife” of Proverbs 31 who “looks to the ways of her household and does not eat the bread of idleness” (Prov. 31:27). 2. We must not be like the workaholic who worships work. Do you know how the early church grew so rapidly? Every Christian did evangelism. How did most Christians do evangelism? In the context of their relationships, including their work relationships. If a Christian was lazy or unethical in his work, he wouldn’t be an effective witness. Jesus said to his followers, “Let your light shine before others, so that they may see our good works and give glory to your Father who is in heaven” (Matt. 5:16). How do we shine our light? By doing “good works.” Are these good works limited to religious work. No, they include regular work. What will happen when we shine our light while we work? People will be saved (i.e., they will believe and “give glory” to God; cf. 1 Peter 2:12). Anthony Selvaggio, A Proverbs Driven Life (Kindle edition), locations 502-504. David E. Garland, Mark, 231. We must remember that proverbs are general truths, not promises. There will not be profit in all toil. There are exceptions to the general truths in Proverbs. In Proverbs, there is a distinction between “the poor” and “the sluggard.” “The sluggard” becomes poor because of his laziness, but “the poor” are “those who are poor by virtue of circumstances beyond their control” (Bruce K. Waltke, Proverbs 1-15, 339).